It's no secret we love this time of year and I often find myself trying to squeeze in as much fun for the kids as possible. My kids LOVE playdates with a capital "L" and would have friends over every day if we could. Usually when they have friends over they keep themselves busy with their own games and playtime, but I knew that for Christmas it would be fun to host a themed jewelry crafting party for my girls and their friends. I checked out Oriental Trading and found everything I needed for this fun afternoon! 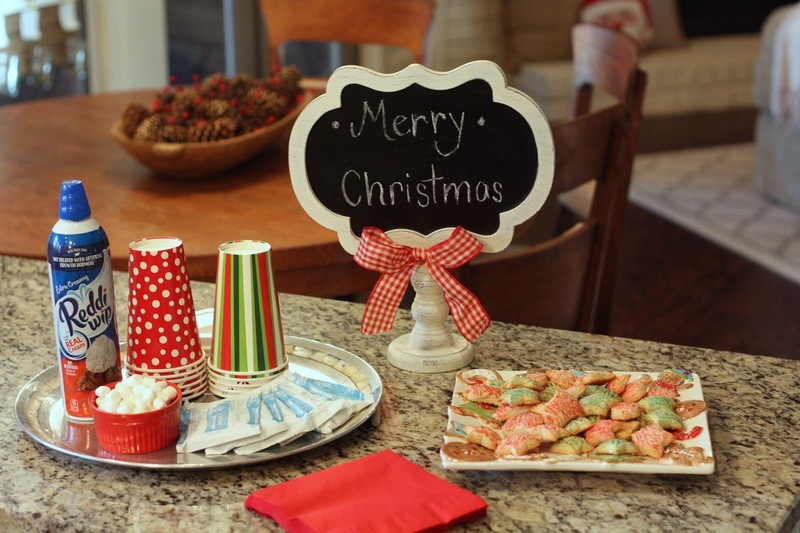 I planned to serve hot chocolate and cookies and just keep it simple. 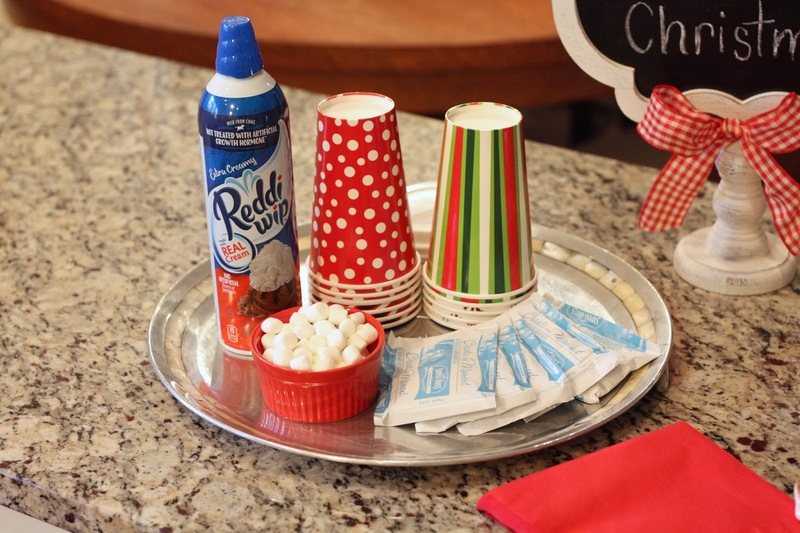 I had these fun Christmas insulated coffee cups and the whipped cream topping was a HUGE hit! The kids loved these cups because they like to feel like they are big and act like they are drinking coffee. Since these cups had the plastic lids, they felt just like they were drinking take-out coffee, but I didn't have to worry about any spills. I had thought about making some treats, but in the end store bought sprinkle cookies made them just as happy and saved me a few hours in the kitchen. After the kids got their snacks it was time to start crafting. 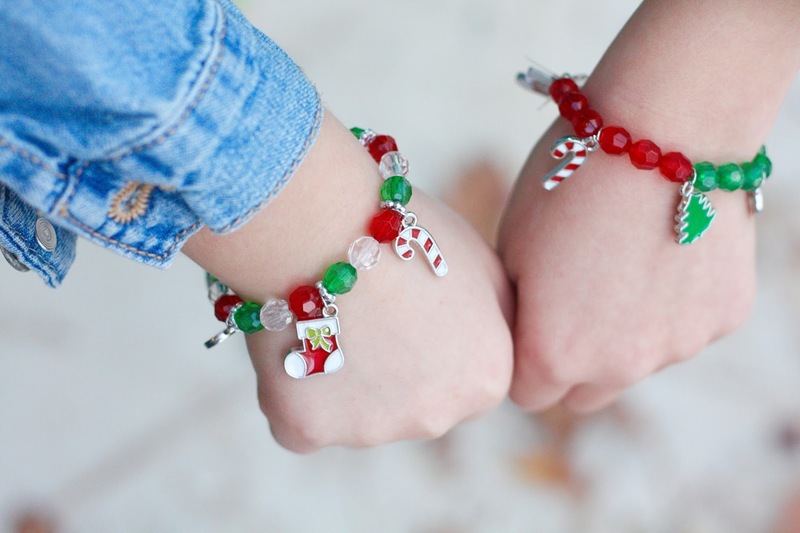 They each had a bracelet, earrings and ornament to make. 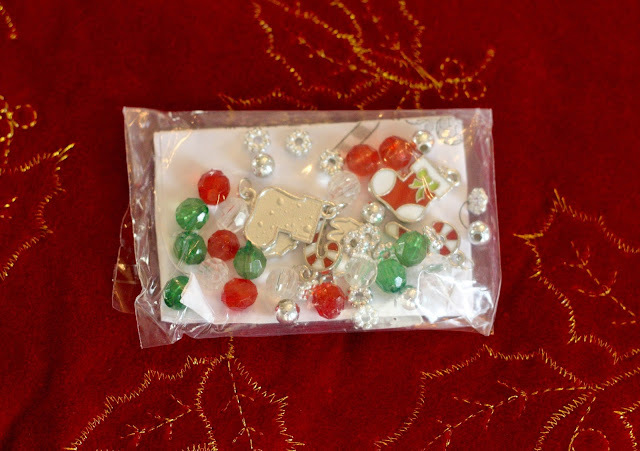 Everything came pre-packaged with all of the supplies needed for each one so it is super easy to just pass out the little packages and know the kids have everything they need. 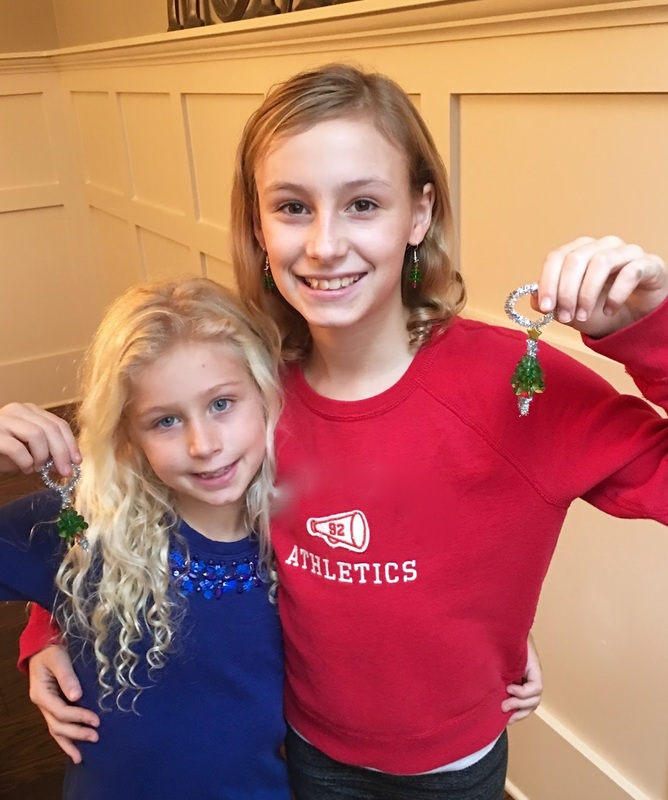 I found the jewelry in the adult crafting section on their website, but it was perfect for my girls' ages. I had them each make these bracelets first just so we would all be on the same steps. There were a lot of beads and they didn't end up needing them all for their small wrists. They could pick what pattern they wanted to do with the beads and each of them turned out very unique. After they were done stringing the beads all I had to do was tie the elastic string into a few knots and clip the ends. 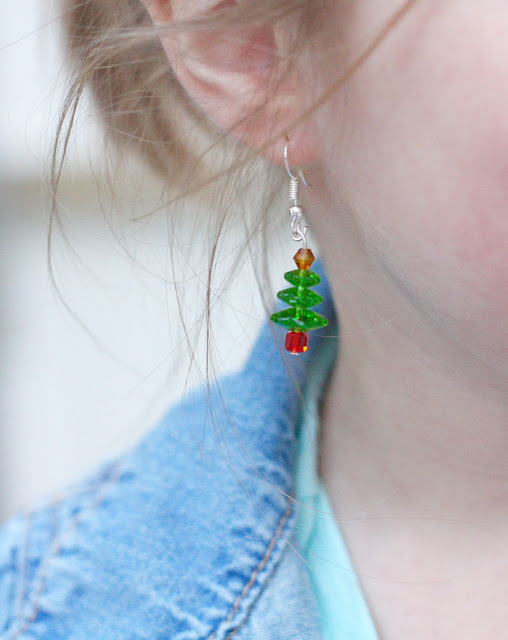 Next up were these cute Christmas tree earrings. I was worried these might be too big or heavy for them, but they ended up being just perfect. Stringing the glass beads onto the wire was easy, but then I needed to use pliers and wire cutters to actually attach it to the earring part. It wasn't hard, but just took a little time to do each pair. I was glad that I had limited each girl to one friend for that reason and I was thankful I knew right where the Mr.'s tools were located. As soon as everyone had theirs completed the girls all wanted to put them on and couldn't get over how great they turned out. They all kept saying they thought the bracelet and earrings looked like something that you would buy at a store and they were so impressed that they had made them! Because I didn't want Boo-Boo to feel left out I ordered this sweet beaded Christmas tree ornament kit also. The girls breezed through this, but it was still fun for them and Boo-Boo loved that he had something to make also. Actually, he ended up making a bracelet that he gifted to our babysitter, so it was a great fine motor activity for him, too. The playdate ended up being so much fun. It was so simple and didn't take a lot of prep or time from me, but it was something different and a little more organized than their normal playdates so it felt really special for the kids. We listened to fun music, danced, ate and drank yummy things, and made some really great jewelry and crafts. 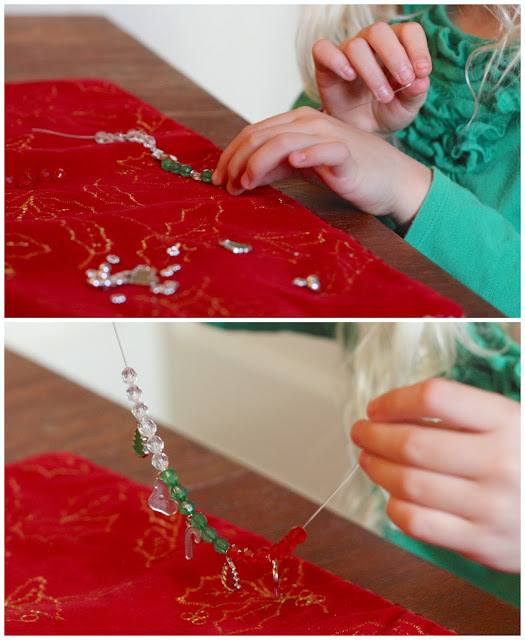 The kids went on and on about how much fun they had and I'm sure they made some fun memories that I hope they will continue to remember every time they see their jewelry and think about Christmas! Looking for a deal at Oriental Trading? Be sure to visit their coupon page for the latest in sales! 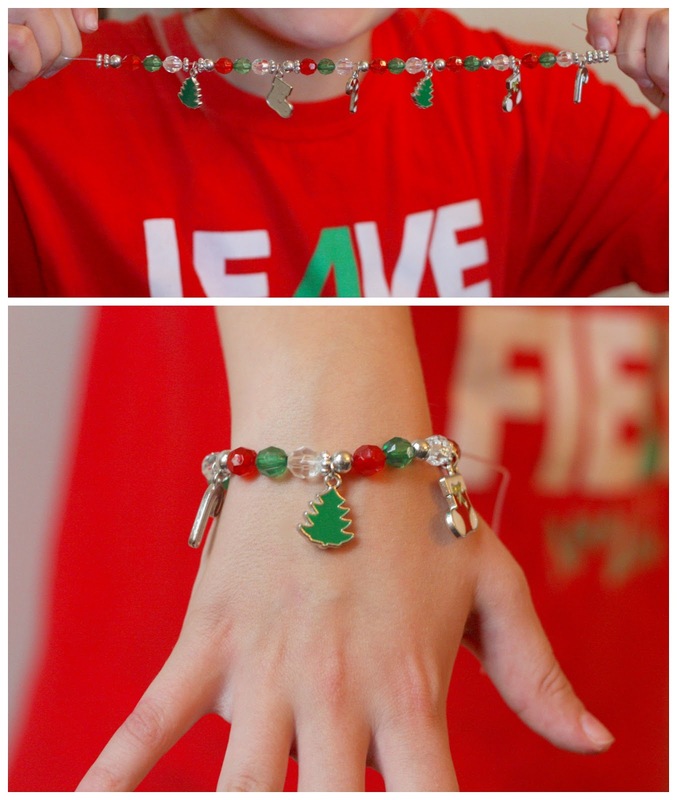 Friday Favorites: The Holidays are Coming! 'Tis the Season to Give...Wine!